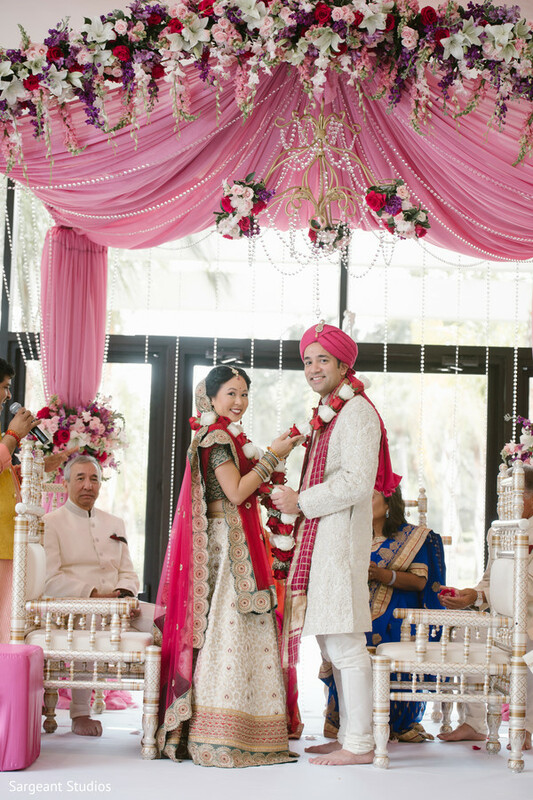 We’ve finally arrived at the moment Maharani Candy and her Raja Arjun say “I do” in their Indian wedding ceremony. 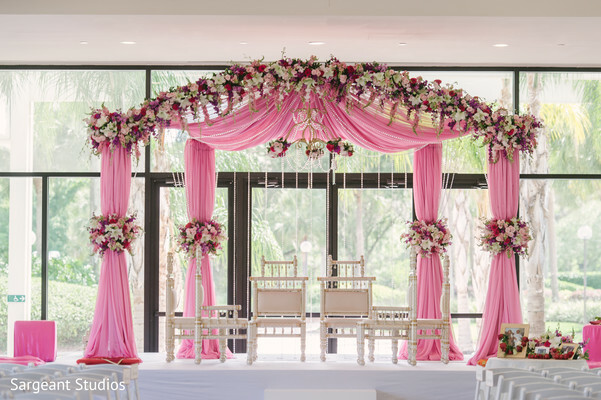 Not a single detail was overlooked at this vibrant matrimony at the Hyatt Regency Grand Cypress, with a majestic mandap draped in rich pink fabrics and copious blooms overlooking the lush foliage outdoors. 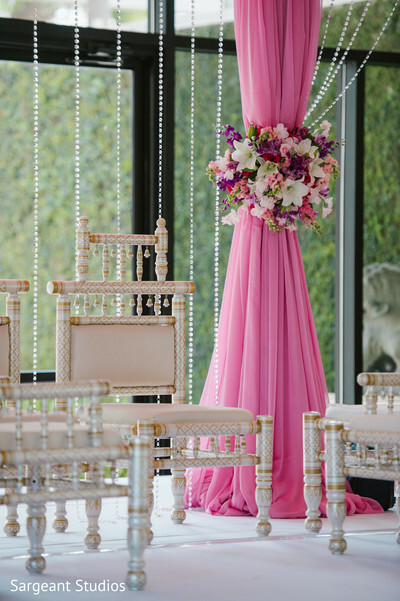 We have to give a round of applause to Occasions by Shangri-La for transforming the breezy space into a royal Indian palace! 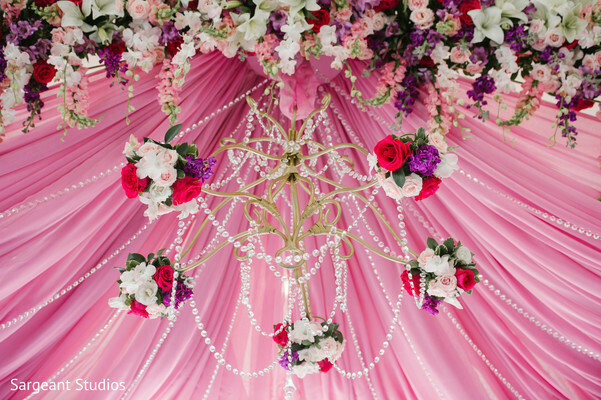 Every element of this wedding gave us visions of our favorite romantic flicks since it was filled to the brim with roses and sweet glances. 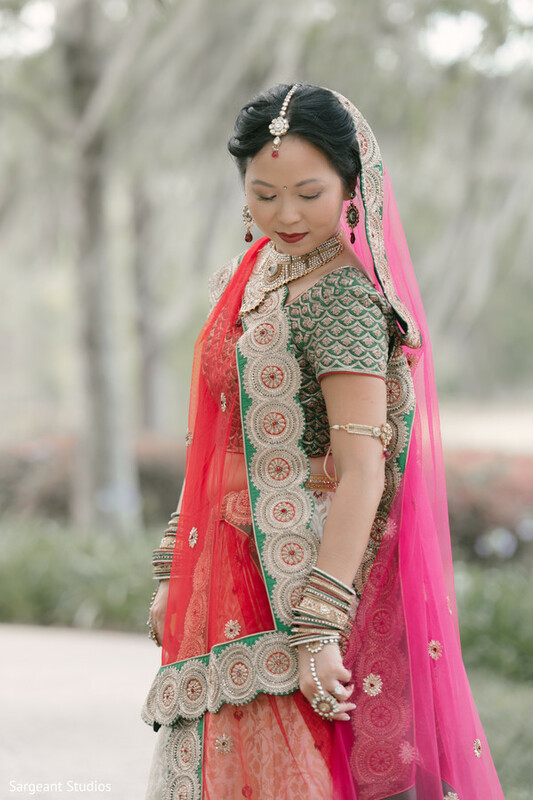 Maharani Candy was a vision in vibrant pink, cream, and green hues, and her sparkling smile was highlighted with ruby lips and glimmering cheeks by the beauty masters at Michele Renee The Studio. 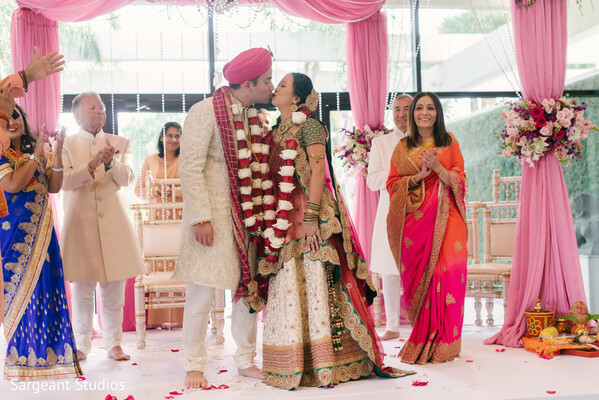 The bride and groom had a heartfelt ceremony brimming with rich traditions, and their electric chemistry was obvious to all that witnessed the magical event. After taking their final vows, the elated duo bounded off the stage, thrilled to finally be Mr. and Mrs. What a refreshing soiree! 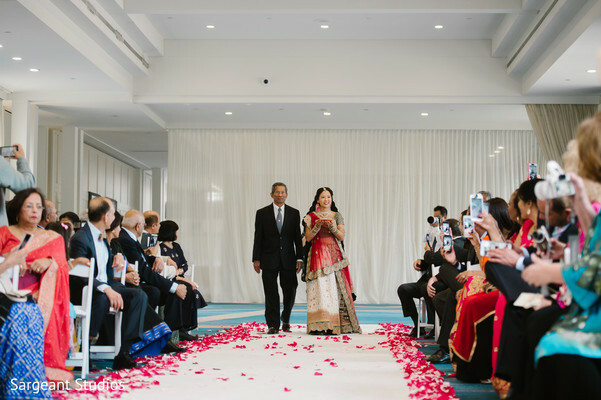 Both the Thai ceremony at the Gaylord Palms Resort and Hindu ceremony at the Hyatt Regency Grand Cypress were simply breathtaking. 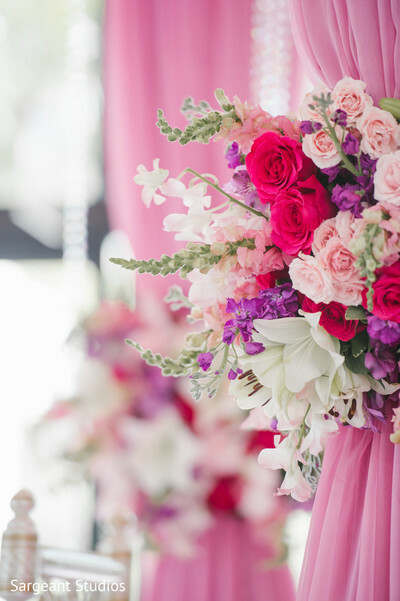 Hats off to the planning and management mavens from Eventrics Weddings for pulling off such a seamless celebration. 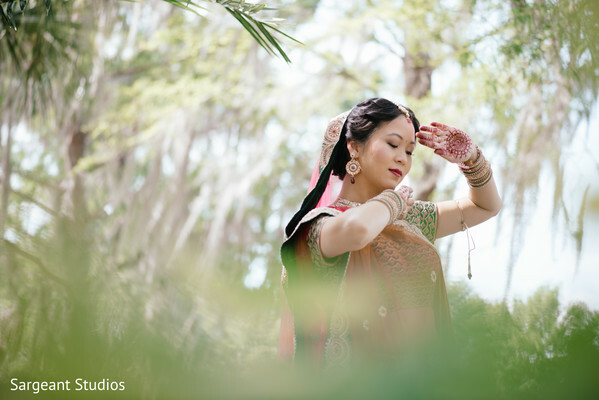 Sargeant Studios captured all emotional moments, and you can relive all the beauty in our full gallery. The glorious reception up next!